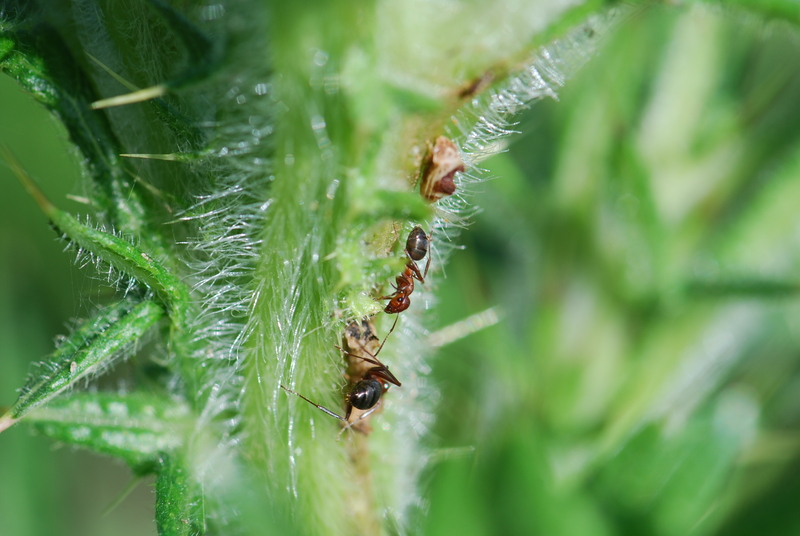 You often see ants on thistles. Sometimes they are tending aphids. Sometimes the ants are tending treehoppers. 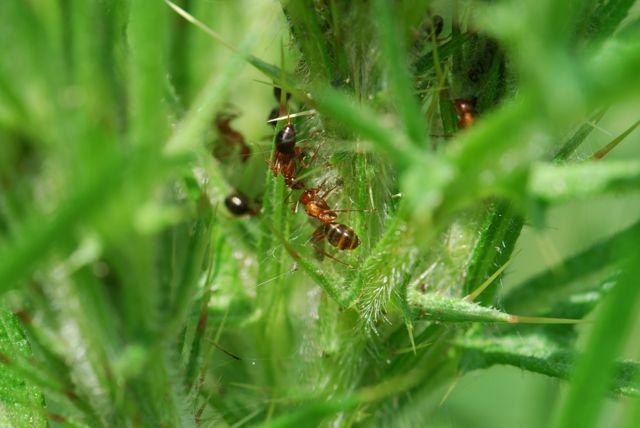 For example, you will find ants tending Entylia carinata, particularly the nymphs. 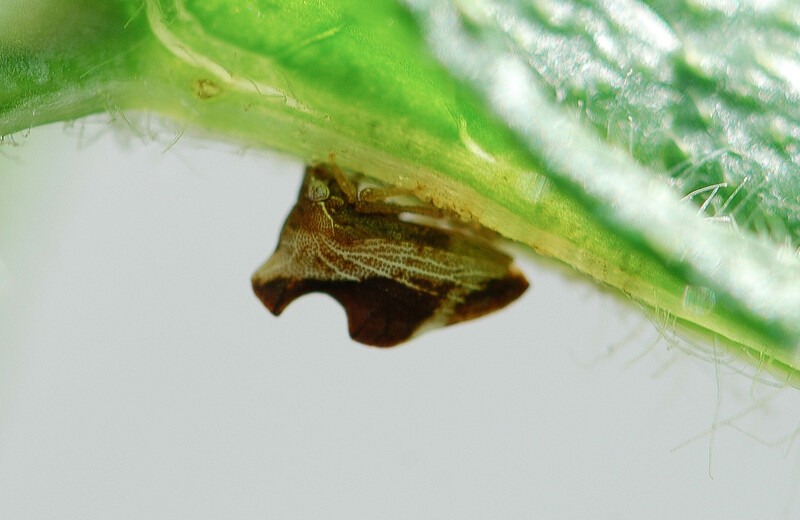 The female treehopper stands guard over her eggs and first instars until they disperse. The ants then take over the guarding duties. The treehopper eggs are guarded by the adult female. The nymphs are guarded by ants. The whole community is protected by being among the spines of a thistle plant. Plus, treehoppers are fairly well camouflaged/disguised in coloration. Talk about protected! If you are interested in seeing more examples of the relationships between treehoppers and ants, check out this video. 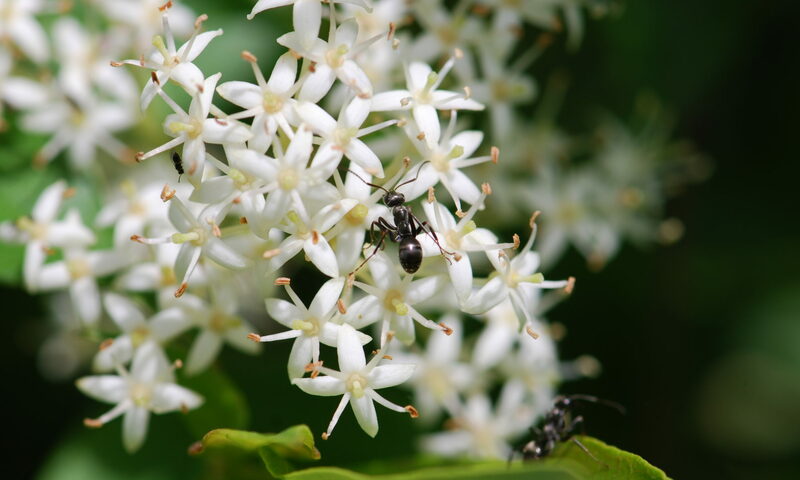 Isn’t it fascinating how the treehopper in the last segment responds to the small ant?